Ft. Myers, Florida – The U.S. Fish and Wildlife Service announces record-breaking year in Florida panther deaths. “This week, the Fish and Wildlife Service announced that the Florida panther record for deaths in one year was broken, and a new record for road mortalities was set, when three young male panthers were reported dead within twenty-four hours. Thirty panthers have died in 2014; the two biggest killers being cars (23) and intraspecific aggression (fighting between the same species) (3). Overwhelmingly, people are causing the decline of the already critically endangered species. “The greatest threat to the Florida panther is loss of habitat/fragmentation and encroachment by humans. Both car strikes and intraspecific aggression are symptoms of the much larger problem of habitat loss. Panthers have not received critical habitat designation, the lands identified as essential for the continued existence of a species, by the federal government. Instead their habitat in South Florida faces a continual net loss every year. With reduced impact fees from construction, the economy on the upswing and pressure from developers, miners, and oil drillers, panther habitat is at a premium. And the panthers are losing. “As panthers seek territory or mates, they are increasingly coming into contact with humans, whether with their cars or their hobby animals. More deaths on hobby farm animals, like goats and chickens, were also reported this year. But with subsidized predator-proof fencing (Defenders of Wildlife will even help homeowners set them up! ), and a little education, the majority of these losses could have been prevented. And while more people are seeing panthers, there has still never been a confirmed attack by a Florida panther on a human being - not ever. Tallahassee - Today the Florida Public Service Commission voted to approve FP&L’s request to invest in risky natural gas exploration at the expense of its customers by a vote of 4-1. With the approval of the petition today, FP&L can now charge its customers more than $700 million a year for a fracking project in Oklahoma without a guaranteed rate of return for customers. In essence, FP&L could shift all shareholder risks of investing in energy projects to customers, thereby eliminating shareholder risks and maximizing shareholder profits. The proposed Woodward Project by FP&L is a speculative investment at best. At worst FP&L customers could wind up footing the bill for an expensive project that will yield nothing, similar to Duke Energy customers who paid for a nuclear power plant that was never built. "The Public Service Commission thought today was Christmas, Hanukkah, and Kwanzaa combined for Florida Power and Light, handing it a gift worth more than $700 million a year." said Frank Jackalone, Sierra Club's Florida Staff Director. But the PSC placed a lump of coal in ratepayers stockings, forcing us to pay the bill for FPL's environmentally-destructive fracking adventure in Oklahoma." Just last month the Commission cited the need to gut Energy Efficiency measures by more than 90 percent because the utilities claimed costs associated with energy efficiency were too high. Yet today, the Commission voted to approve a project that at best will save customers between $.02 and $.06 cents a month on their utility bills. Further, Commissioners argued that the fracking project proposed by FP&L adds fuel diversity to the state. “If the Commission were serious about fuel diversity in Florida they would have supported high energy efficiency measures - lowering the demand for energy while providing real relief in ratepayer’s monthly bills. Further the Commission should be urging utilities to expand into renewable energy sources like wind and solar,” said Tom Larson, volunteer co-lead of the Sierra Club Florida Energy & Climate Action Team. This opens the door to other risky fracking projects to be presented to the Commission by utilities in Florida. Duke Energy has stated it would consider bringing similar fracking proposals to the Commission for approval based on the Commission’s vote. While Florida moves forward with more fracking, New York State has moved in the right direction banning fracking altogether based on serious health risks associated with the practice. Put February 18, 2015 on your calendar and start making plans! This rally will make an even bigger splash than the first! Together we will make our clean water demands heard! Don't miss this chance to "talk water" with your own legislators! What would be the best holiday present ever? Clean water of course! Let's make it happen in 2015! You probably know someone with asthma or COPD. Now you can do something to help them breathe. An all-too-frequent smoggy day in Tampa. The most common reason any child will ever miss school is when they suffer an asthma attack. You might not think of Florida as having a smog problem, but actually 13 counties* in the Panhandle, Gulf Coast and Central Florida now have smog at levels that aggravate asthma sufferers, contributing to keeping kids home sick from school. All too often they end up in hospital ER’s. Smog is created when emissions from our cars’ tailpipes and power plant smokestacks are transformed by something we have plenty of – Florida sunshine – into smog. Orlando exceeds safe smog level; Hillsborough's Air Quality Gets An "F". Kids aren’t the only ones who are harmed when we have smoggy days. Seniors with COPD or adults with other respiratory conditions can also experience the “sunburn on the inside of their lungs” that comes from exercising outdoors on days when ground level ozone levels get too high – something that happens here all too often. After waiting 6 years for the government to catch up to medical research, the EPA has finally proposed a new rule that would require these counties to clean up their air. But this new clean-air safeguard is in danger of falling short of truly protecting our kids and seniors from dangerous pollution. Tell the EPA that protection from smog is critical to our families’ health, and that they should listen to the scientists and create the strongest possible protection from smog. With a strong smog rule, these 13 Florida counties* will have to invest in the transit options and safer streets Florida lacks that force us all to drive (and pollute) when we’d rather walk, bike or ride a bus or train. As important as transit is, It's not just about giving people a choice to sometimes travel without driving a car. Even after transit options are finally adopted here, most Floridians will continue to drive their cars most of the time. We also must continue to improve fuel economy standards while providing the infrastructure and incentives that will allow us to replace our dirty internal combustion engine vehicles with electric cars, trucks and transit buses. Of course, the cleaner the source of electricity for vehicles, and all other purposes, the cleaner the air becomes. Emissions from dirty energy utilities like Duke and FP&L that contribute half or more of our state’s smog will also need to decline by their finally switching from burning dirty coal to clean, renewable energy and energy efficiency incentives for homes and businesses. The result: the many Floridians who now suffer will be free to play and walk outside every day without fear of further damaging their lungs. *Smoggiest of all is Hillsborough, with Sarasota & Orange almost as bad. Manatee, Pinellas, Pasco, Polk, Osceola, Seminole, Bay, Okaloosa, Santa Rosa and Escambia also have unhealthy levels of smog. Tallahassee – Tomorrow the Florida Public Service Commission will deliberate on a historic rate case that could drastically impact how utilities do business in Florida for years to come. Florida Power & Light has petitioned to expand its business by entering into a high-risk natural gas exploration at the expense of ratepayers. Duke Energy could follow suit with similar requests for fracking exploration. If approved by the PSC, FP&L could charge its customers up to $750 million a year for a fracking project in Oklahoma without a guaranteed rate of return for customers. In essence, FP&L would shift all shareholder risks of investing in energy projects to customers, thereby eliminating shareholder risks and maximizing shareholder profits. The proposed project by FP&L is a speculative investment at best. At worst FP&L customers could wind up footing the bill for an expensive project that will yield nothing, similar to Duke Energy customers who paid for a nuclear power plant that was never built. Fracking for natural gas damages the land, pollutes water and air, and causes illness in surrounding communities. Even if one considers only the carbon emitted from burning gas and ignores the methane released during production and transport, the latest studies from the International Energy Agency (IEA) reveal that a switch from coal to gas would lead to a global temperature rise of more than 3.5 degrees Celsius (approx. 7° F). ”The better alternative is for the Public Service Commission to lead our big power companies soon to a future of reliable electricity generated for us by clean energy sources free of fossil fuels—using sun, wind, geothermal, biomass and large-scale energy storage systems. Only by immediate action will we avoid unprecedented disruption of our climate,” said Tom Larson, volunteer co-lead of the Sierra Club Florida Energy & Climate Action Team. The Public Service Commission will meet on Thursday, December 18th at 9:30 am to discuss this and other matters before the commission. A state agency released a blistering 24-page rebuke of a proposed massive city in the Everglades while environmentalists renewed calls for the state to purchase sugar land to send water south. but to the Indian River Lagoon in the summer of 2013. 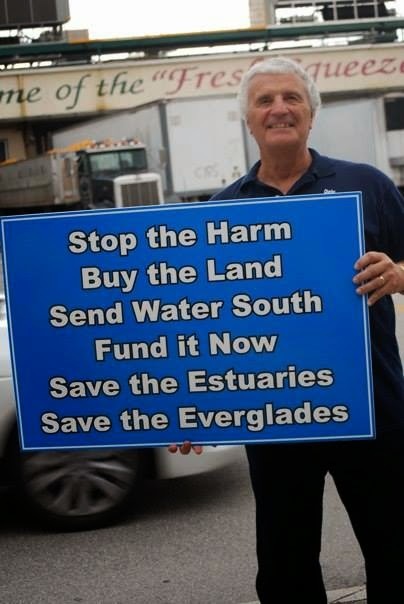 Among 34 major objections to the project, the Florida Department of Economic Opportunity (FDEO) report called U.S Sugar’s proposal “vague,” with “no assurances of natural resource protection,” and puts “significant urban development” in an area without flood protection. 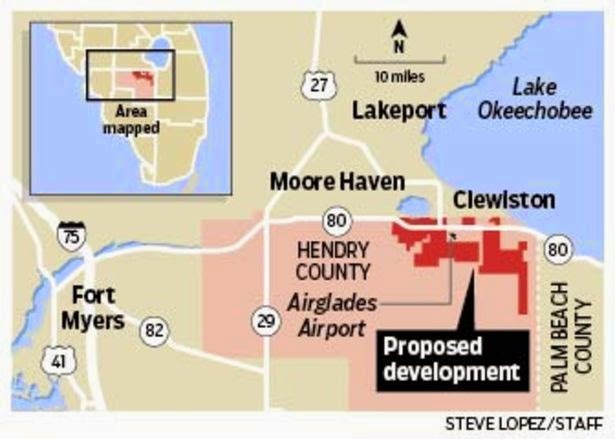 The proposed 67-square-mile city called “Sugar Hill” includes 18,000 residential units and more than 25 million square feet of commercial development southwest of Lake Okeechobee on land vital to Everglades Restoration. The report was surprising because the FDEO is essentially an economic development agency that Governor Scott created to replace the Department of Community Affairs, the growth management agency he dismantled. The report also comes amid news reports that U.S Sugar has been taking Florida politicians, including the Governor Scott, on hunting trips to the King Ranch in Texas. The Sugar Hill project has been widely condemned by the environmental community. Sierra Club and allies held simultaneous rallies and press conferences opposing the city and urging the state to buy sugar land instead. The proposed city reinforces the need to buy sugar land now. The U.S Sugar land purchase of 2010 enabled 26,000 acres to be purchased with an option for the remaining 153,000 acres. The next deadline of October 2015, allows a block of 46,800 acres to be purchased at market prices. Much of the land lies within the Sugar Hill proposal. If Sugar Hill were approved, the land would be immediately more valuable as land slated for development rather than agricultural uses, making it more difficult for the public to acquire. Governor Rick Scott has repeatedly ignored deadlines to buy sugar land. Last year he allowed the state’s exclusive rights to buy US Sugar land to expire. He opposed U.S. Sugar’s purchase as a candidate in 2010. The enormity and grave consequences of this sprawling city cannot be overstated. It would wall off the Everglades from half of its overland water source – Lake Okeechobee. It would also end efforts to purchase the next parcel of sugar land for restoration – either for direct use or through swaps with other sugar lands farther east. The final rejection of this city will serve as a wakeup call. A restored Everglades and healthy estuaries require more sugar land. Governor Scott and his appointees at South Florida Water Management District should lay the groundwork for the purchase now. U.S. Sugar has until May 1, 2015, to revise and resubmit the Sugar Hill city plan. The deadline to purchase 48,600 acres is Oct. 12, 2015. The Sierra Club Central Florida Group presented comments on the Deseret Ranches North Sector Plan. The Sierra Club believes this monstrous plan fails to facilitate protection of regionally significant resources, including, but not limited to, regionally significant water courses and wildlife corridors, as outlined in Section 163.3245 of Florida Statutes. We requested that the Osceola County Board of County Commissioners and its Planning Commission decide not to transmit the plan to the Florida State Department of Economic Opportunity. Transportation: Establishment of new transportation corridors through conservation lands and rural/agricultural lands potentially diverts state and federal transportation funding from a more integrated transportation network to serve existing/approved development areas. Additionally, proposed expressways, such as the new Pineda Causeway link crossing the St. Johns River, will fragment sensitive ecosystems and intrude into public conservation lands of Brevard County. Alternatively, the Sierra Club recommends using existing bridge alignments at SR 520 and US 192. · The proposed expansion of the Taylor Creek Reservoir (7,104 acres) and the creation of the Pennywash/Wolf Creek Reservoir. · Creating the decommissioned Pennywash/Wolf Creek Reservoir (5,548 acres) that will flood and destroy thousands of acres of freshwater forested wetlands. A similar plan proposed by the U.S. Army Corps of Engineers in the 1970’s was finally rejected by the State of Florida, as noted in the Final Environmental Impact Statement of 1986. · Upon receipt of authorization for construction, Pennywash/Wolf Creek acreage will be counted in the required agricultural land preservation requirement. 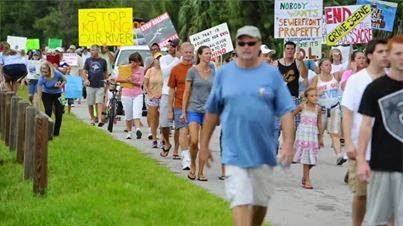 · The Sierra Club objects to these long-term water reservations, as they potentially impact the already stressed St. Johns River. Proposed “sprawl-like” development, including new transportation facilities, will fragment conservation lands and wildlife habitat. For every acre of land within a CMP/DSAP [Conceptual Master Plan/Detailed Specific Area Plan], a ratio of 0.508 conservation acres for every acre of developable land area and 0.238 acres of Agricultural Lands for every acre of developable land area, as identified in Map 5 (North Ranch Planning Area Environmental Plan), must be placed into a conservation easement or agricultural covenant. The Sierra Club recommends a greater ratio of conservation lands for every acre of developable land and objects to the inclusion of the proposed Pennywash/Wolf Creek Reservoir into the agricultural land preservation requirement. The North Ranch includes portions of sensitive headwaters of the Upper Kissimmee River Basin, Econlockhatchee River Basin and the St. Johns River Basin. While the plan proposes to protect the Econlockhatchee River 100-year floodplain, there are no protections for developing within the St. Johns and Upper Kissimmee River 100-year floodplains. The proposed intensity of the North Ranch Sector Plan has the potential to significantly fragment and impact these natural resources as well as the sensitive ecosystems of Orange and Brevard Counties. The proposed North Ranch Sector Plan needs more scrutiny, including stakeholder input. The Sierra Club respectfully requests the Osceola County Planning Commission consider the Sierra Club’s recommendations not to transmit.